Responsible beverage management, seamlessly managed. 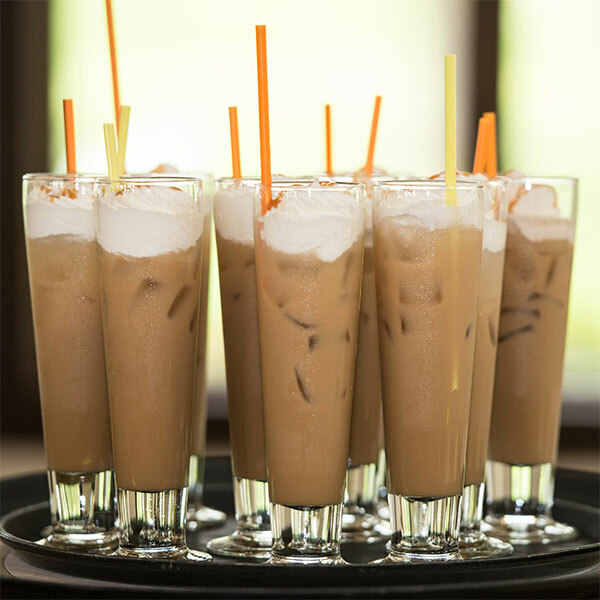 From speciality coffees to custom-mixed cocktails, your event’s beverage station will be the most popular gathering spot. We will work with you to create a beverage list that meets with your company’s beverage policy and event theme. Does your theme lend itself to a unique cocktail? We’ll make it happen. We staff all EVENTS USA bars with professional bartenders well-versed in working events. We can bring in sommeliers or experts in particular spirits for tastings, or stock a standard mix of beers and wine. Whatever you need, we’ll bring in the right amount for your event’s attendee numbers, pairing each with the appropriate glassware and garnishes.